In the Report by the Auditor General,its confirmed that,Shs546Millions listed as overexpenditure and the accounting of shs4.5 Billion could not be confirmed after it was found that it was marred with irregularities such as,irregular vacancies,fuel,oil and lubricants and irregular loans to cooperative societies. These may have been included in other expenditures that may have disappeared in the County. 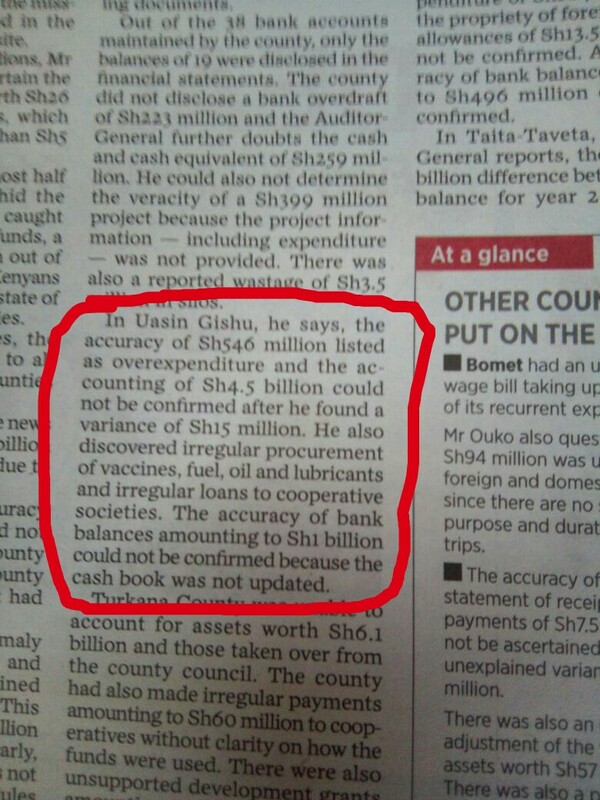 The Report further declares that there was no any updates of the accuracy of Shs1Billion that couldn’t be confirmed since the cashbook was not updated. 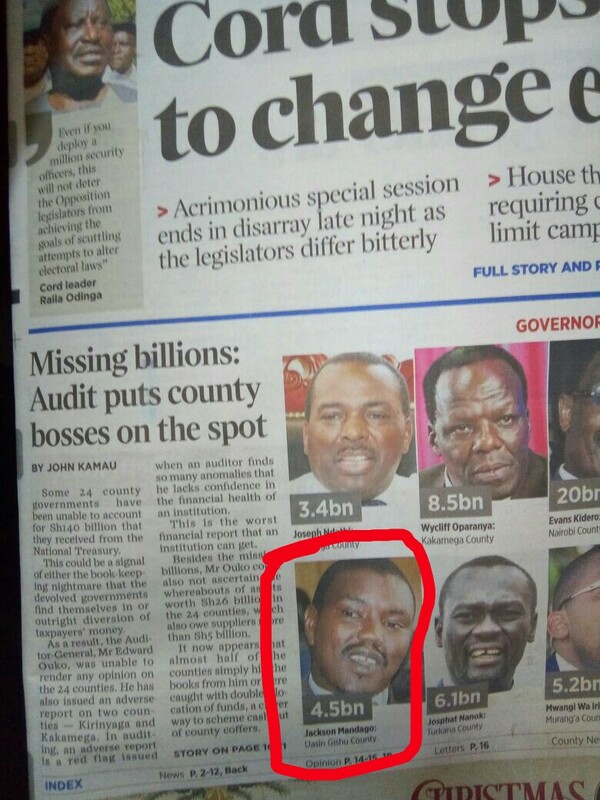 Mr.Peter Leley,The county Secretary and AIE holder of the County also has been tasked with his Boss Hon.Jackson Mandago,The Governor to give Reports of the Audit. The Residents have vowed to know where and why the Money was lost and they are yet to make an impromptu protest.